You can email, telephone or drop into one of our office to arrange for one of our experienced sales managers to visit your property and discuss current market conditions with you. We will recommend an asking price and propose a marketing strategy tailored to your specific needs. 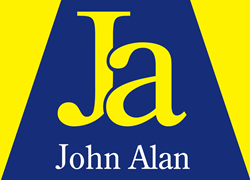 As a seller, you can decide whether to ask John Alan to show your home when you are in, or give us a set of keys to show your home while you are out. Once the seller's solicitors receive the title deeds and all supporting documents, they will prepare a draft contract and forward this with the supporting documentation to the purchaser's solicitor. On receipt of draft contracts the purchasers’ solicitor will instruct local authority searches. In the interim period we will ensure that the purchaser has instructed their lender to carry out a valuation of your home. When the purchaser’s solicitor has received the deposit, mortgage offer, searches, has approved the contracts and agreed the completion date with your solicitor, he is ready to exchange contracts. Both purchaser and seller need to sign their contracts and instruct their solicitors to proceed. This is the day when the balances of funds are transferred to your solicitor from the purchaser’s solicitor, and the keys are released to your buyer. The keys are generally held with your agent on completion to help make the moving process as smooth as possible.